Introducing the North Hub Beach Club at The Great Atlantic Campout! 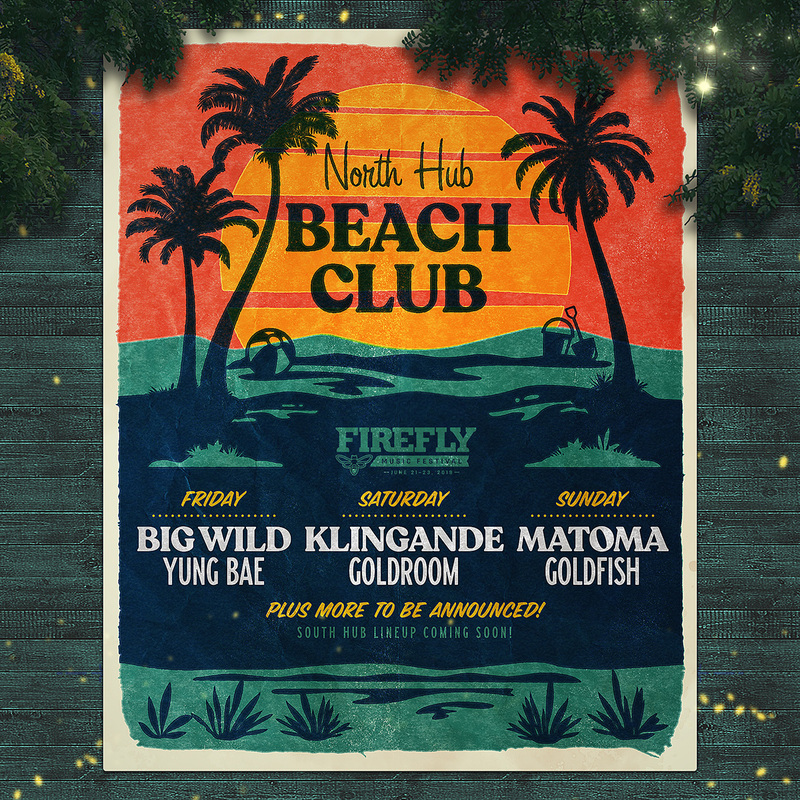 Enjoy the sunshine, dig your toes in the sand and take in the sounds of Big Wild, Matoma, Yung Bae, Klingande, Goldroom, Goldfish and more to be announced! The North Hub Beach Club will also feature a water slide, beach parties Friday through Sunday, bars, and the Late Night Silent Disco! The Hub will be access controlled, and anyone with a Weekend or Single Day Admission Pass will be able to join the fun.